Ron Paul on Sean Hannity...Great Interview! 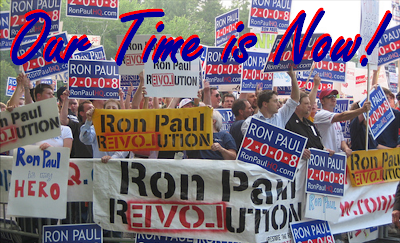 I remember when I first moved to Virginia in August to work for Ron Paul's presidential campaign. There were about 10 of us packed into two tiny little offices tucked in the back of a convenience store in Arlington. At the time, we couldn't buy a lick of coverage. What a difference six months make. While I will long contend that the remarkable accomplishments of this campaign have been under covered, I must admit that it is pretty cool to read about Ron in USA Today. Upward and onward.